Posted on June 8, 2015 June 8, 2015 Leave a comment on Dorothy’s War – first letter from home. L’Hopital Roi Albert I, Rue St Lo, Rouen. Wasn’t the Lusitania devilish and diabolical, I hope bluffing , boasting America who has been up to now all swank, or talk and no deeds, will really wake up now. Miss Higgins’ work began at the Anglo-Belgian hospital, King Albert I, founded by Miss Dormer Maunder. The building was previously a school for boys. The French authorities had made the site available to the Belgians, funding was by private subscription. 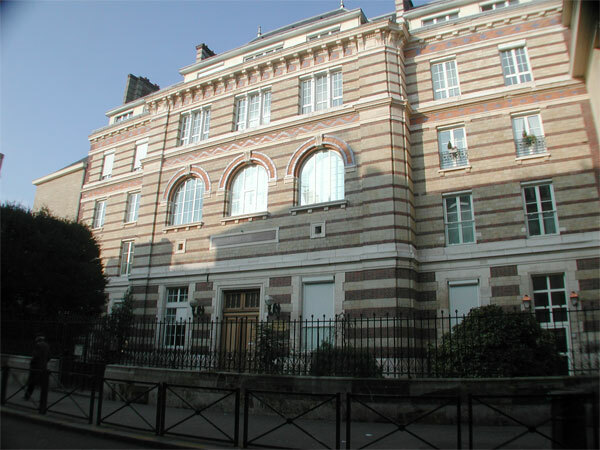 Due to a shortage of accommodation Miss Higgins and eight other nurses stayed at the Hotel Normandie, paying 40 francs per month for their accommodation. The British army offices were housed in the Bishop’s palace in Rouen and Sunday services took place in a small chapel of the palace, behind Rouen Cathedral. At her first service Dorothy notes that there are only 18 women present among the congregation which numbered well over 100 officers and Tommies. Away from the front line and receiving men who have already healed from their initial wounds Dorothy appears to have been shielded from the horrors of war during her early days in France. She describes how the nurses stroll around the town in the afternoons, wearing Red Roses in honour of St George on April 23rd. They take tea at Potins “the swank café” and “a topping place, never have I had such chocolate or such éclairs”, English papers are available and Rouen is declared to be “a ripping place”. Posted on May 23, 2015 June 7, 2015 Leave a comment on Dorothy’s War – Who was Dorothy Higgins ? Research for a local history project has unearthed some interesting bits and pieces along the way, many of which are completely irrelevant to the original project, but most are relevant to Alford. Many people have shown an interest in our findings so they will be shared here for all to see. In February 2014 research began into Miss Dorothy Higgins, the benefactor of Alford Manor House, who reputedly drove ambulances in France during WW1. One year later we have managed to discover how she spent her war and just about proved that she did not drive an ambulance. A treasure trove of letters, written home to her parents, describe her daily life as a VAD nurse in an Anglo-Belgian hospital in Rouen. Dorothy Higgins sailed for France in April 1915. One hundred years later we can revisit Dorothy’s war years through her letters home. The full story of Dorothy’s War is the subject of an exhibition at Alford Manor House.